Will the ratings for Anger Management improve in season two or, will they fall even lower than they did in season one? We’ll have to wait and see. Revolving around an anger management therapist (Charlie Sheen) who has issues of his own, the cast also includes Selma Blair, Shawnee Smith, Daniela Bobadilla, Michael Arden, Noureen DeWulf, Derek Richardson, and Martin Sheen. The comedy’s ratings are typically the best way to tell if Anger Management would be cancelled or renewed for another season however, 90 episodes were ordered for season two as part of a syndication deal. Those will last for awhile and may or may not be the end anyway. Final season averages: 0.5 rating in the 18-49 demographic with 1.1 million total viewers. What do you think? Do you like the Anger Management TV series? Do you think that it should be cancelled or renewed for even more episodes? I loved Anger Management and the show was a part of my weekly routine. In my opinion, Mr Sheen brings a unique set of skills to syndication. Please bring him back. Pleasssse bring it back ! 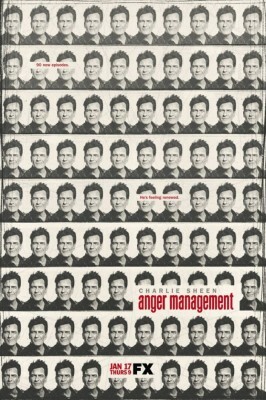 I was really disappointed that they decided to cancel Anger Management with Charlie Sheen. There are so few shows out there that are still funny and the cast was awesome. I really wish that the network would reconsider. If it’s a ratings problem then maybe put it on at a different time. yes yes bring it back great show!!!!! Renew it! Charlie Sheen is great! He was the only reason Two n Half Men was good. Without him it tanked. Actors get tired of being used by Production that don’t realize why they are making money. Charlie and his dad are so talented and real. Good Luck Charlie for many seasons to come. The number of viewers in the Final Season averages don’t make sense. You claim in the article and at the bottom of your table an average of 1.1 million viewers. A simple eyeball test will show you that’s not accurate. It took me 30 seconds to plug the numbers into Excel and tell me the actual numbers were 811,000, a far cry from 1.1 million. The average of the 18-49 demo also comes out to a .34, not a .49. And yes, for both of my number I divided by 89, to take into account the missing data from 4/24.